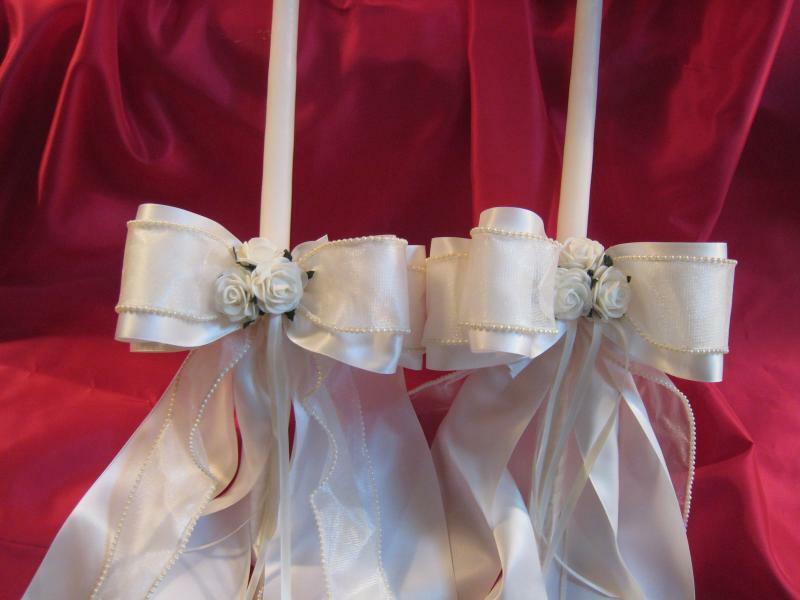 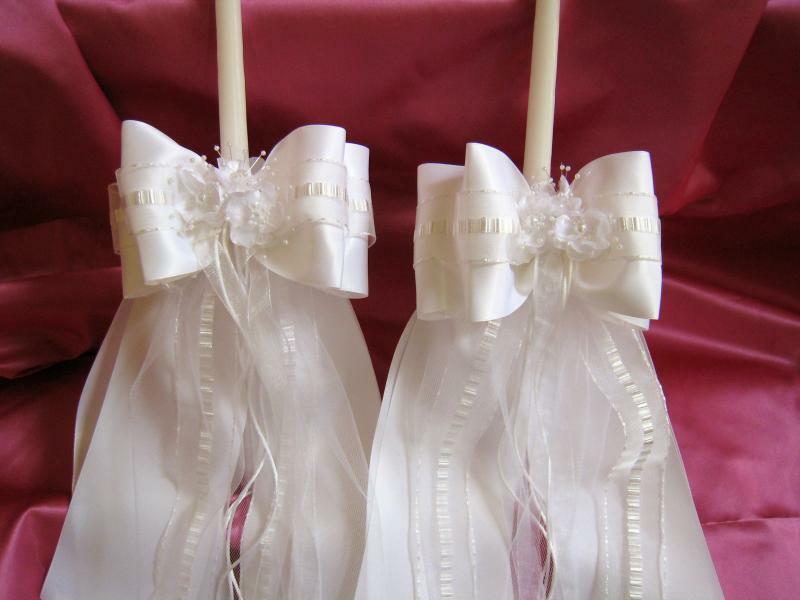 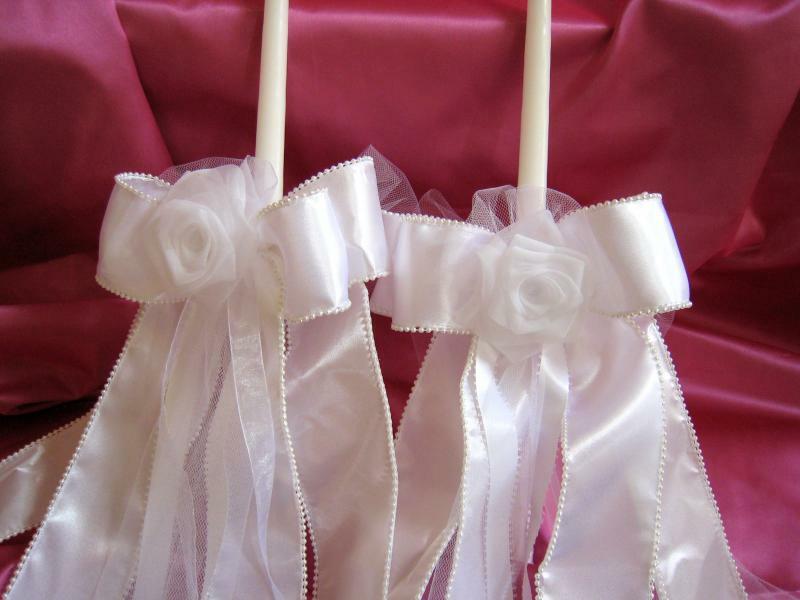 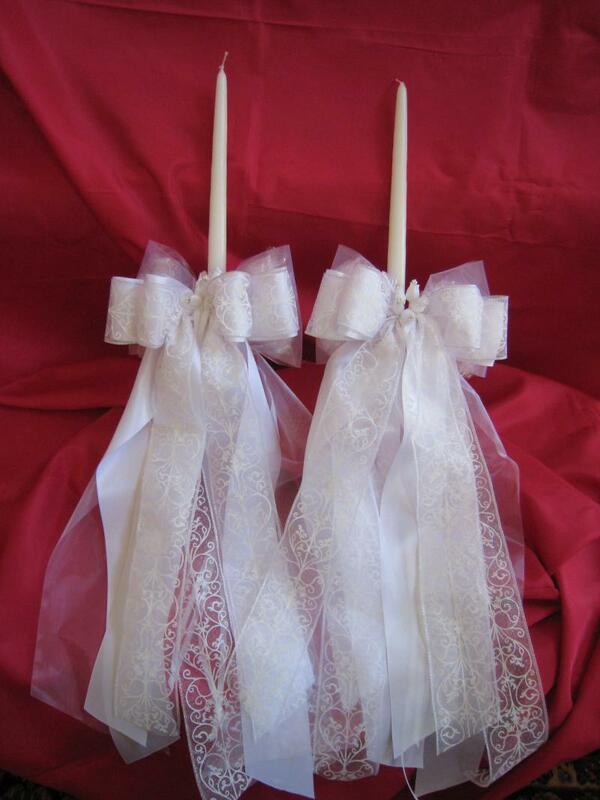 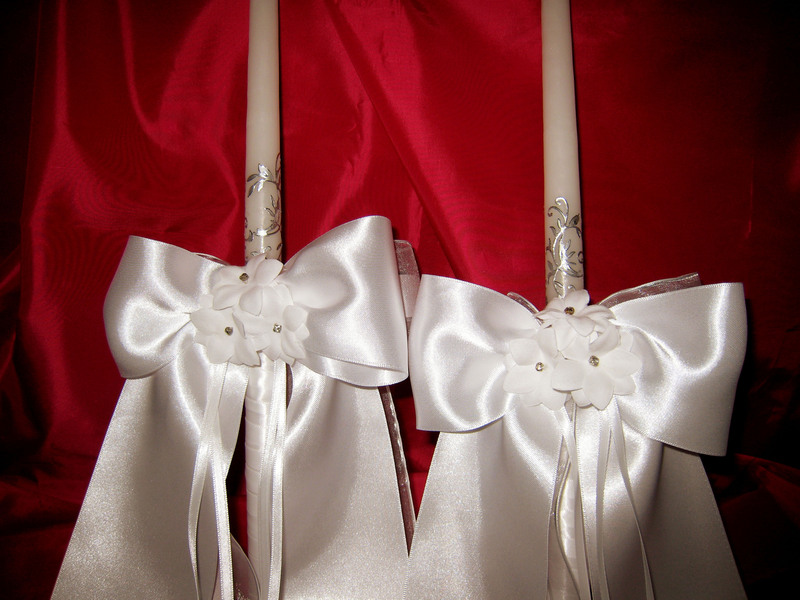 Included with all stefana sets are two coordinating candles (lambathes or lambades) for the bride and groom. 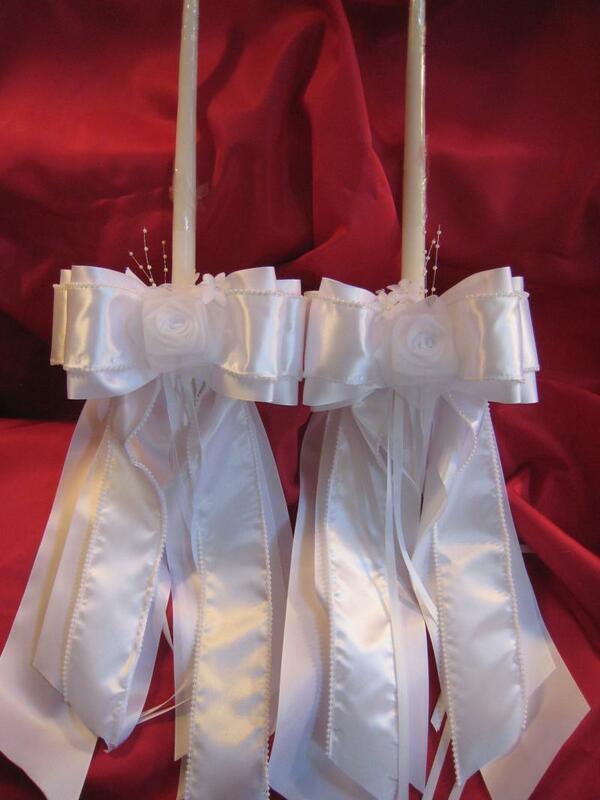 The 18 inch candles give ample burning time for the ceremony. 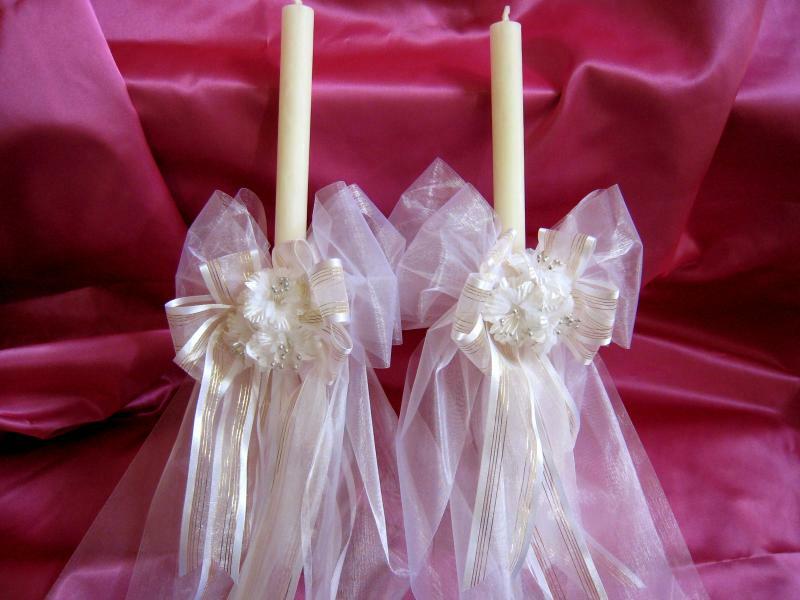 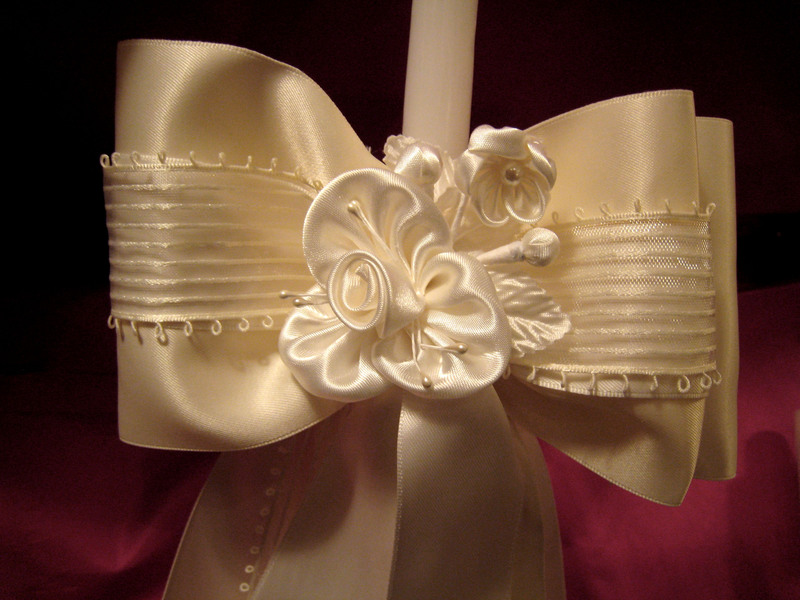 The bottoms of the candles are Swiss-wrapped in white ribbon to prevent sticky hands! 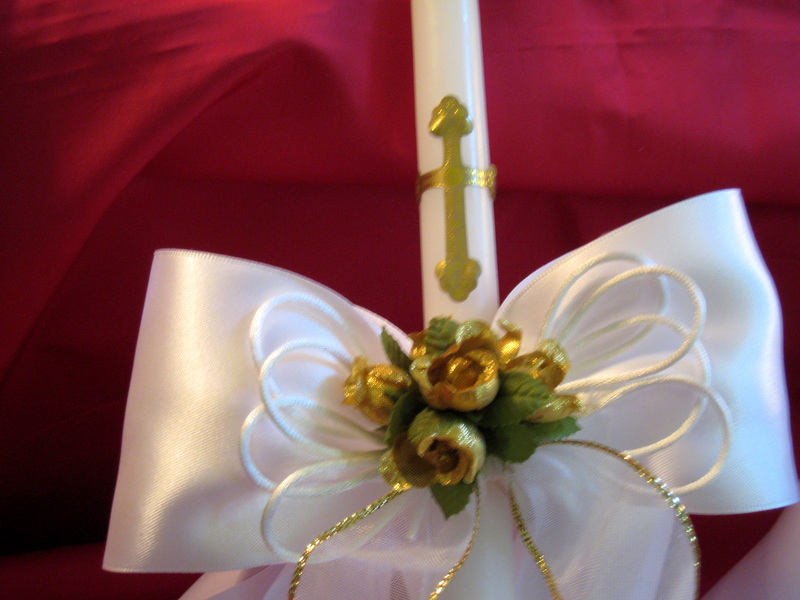 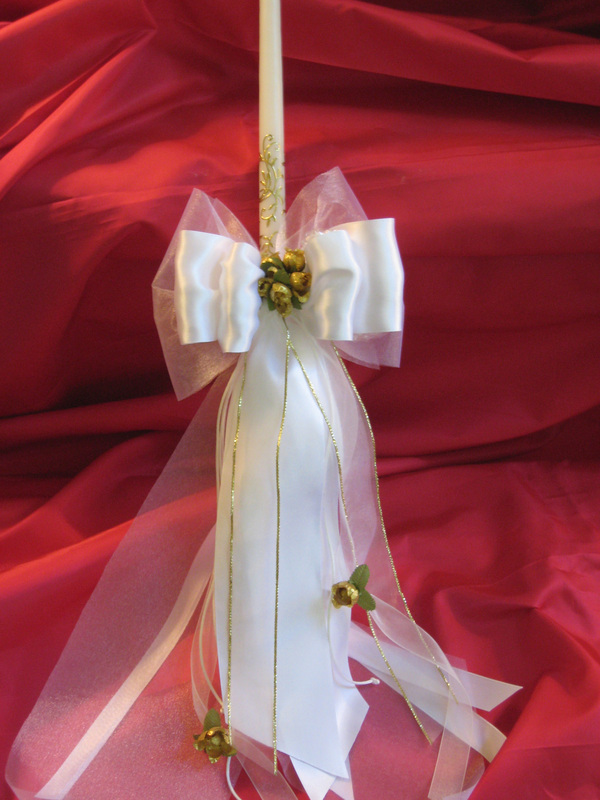 If the priest requires a candle for the koumbaro/ koumbara, this can be provided as well, coordinated with a flower or bow and ribbon, at $25/each. 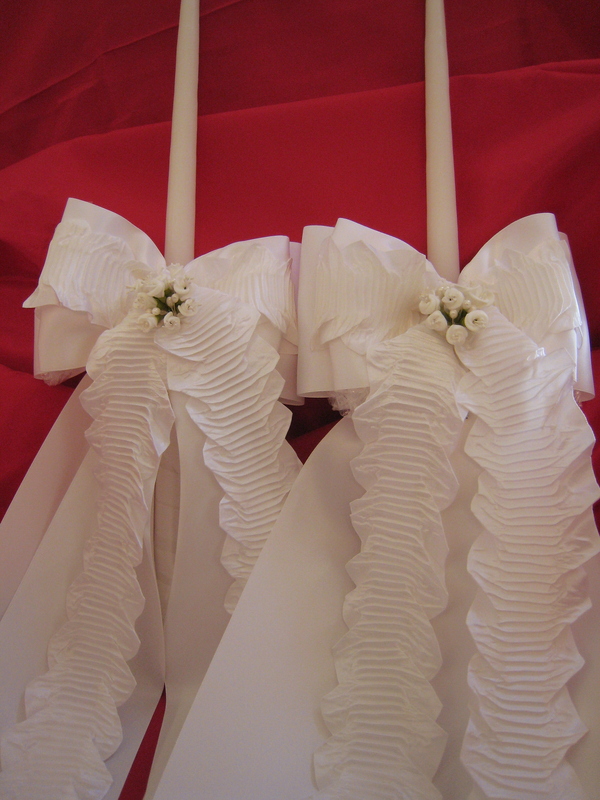 Wedding candles ordered separately- not as part of the stefana set- are $89 for the pair of 18-inch candles.